By the end of 2016, closed captioning will be available in most movie theaters nationwide, as a result of developing legislation. Due to advances in technology, closed captioning has become more affordable and more easily available. It is projected that the option for closed captioning will become more and more commonly accessible to the general public. This article from The New York Times reports the development. The aforementioned article, however, doesn’t clarify directly how closed captioning in theaters might be implemented or facilitated. We speculate that theaters may opt to have a few seats (or all seats) equipped with a tablet device, or a small, attached display screen, which would display closed captioning assistance for the hearing impaired. Having the device on the seat would give the individual viewer the option of enabling the closed captioning feature. If the viewer requires closed captioning, they can elect to activate it and if the viewer doesn’t require closed captioning, then the device can remain disabled. 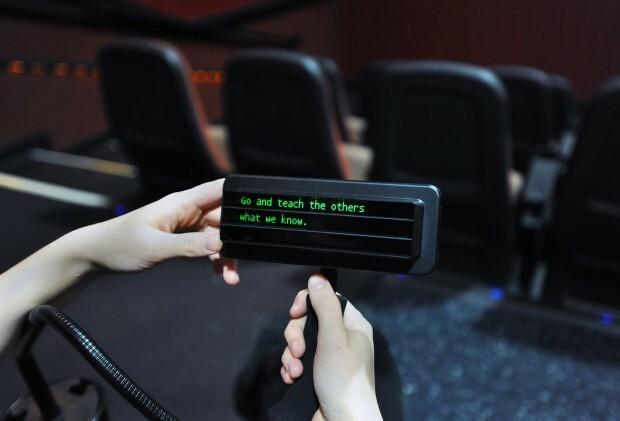 Although there may be some costs and technical issues to work out, we believe the expansion of closed captioning into movie theaters is a great development in the world of audio and video accessibility. Need your video project captioned? We provide captioning for all videos including online content providers such as YouTube. Click Here to tell us about your project and request a quote today!